LAHORE: The presence of a Faiz, who would “teach his chains to sing rather than attempt to break free of them”, was sorely missed at the second day of Faiz International Festival 2017, held at Alhamra Arts Council Lahore on Saturday. 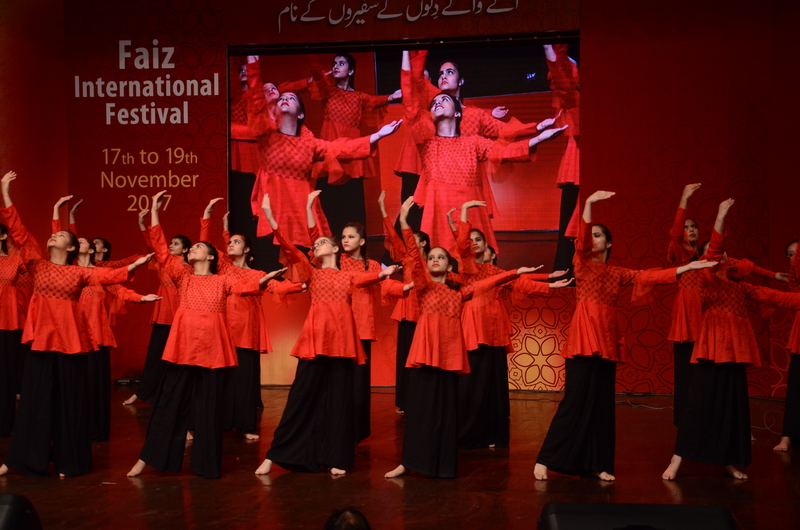 A large number of poetry lovers and Faiz enthusiasts turned up to attend the second day of the international festival celebrating the noted poet. 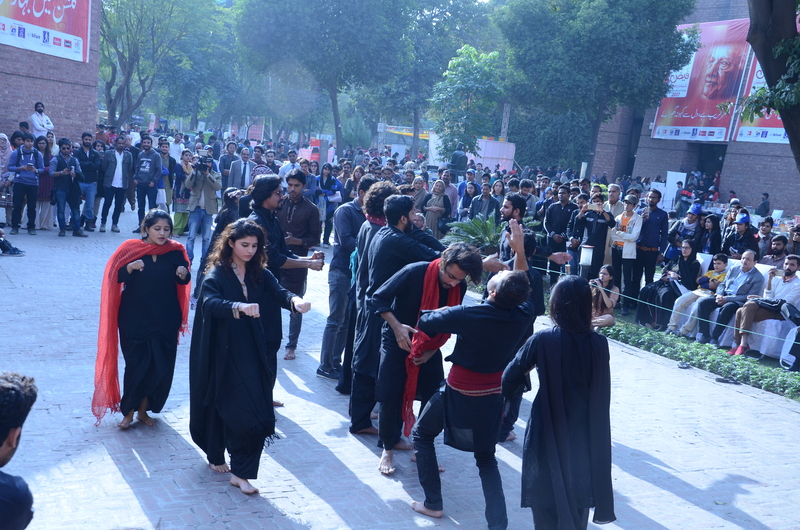 Many noted academics, writers, poets, critics, artists and professionals from other areas were invited to speak at the more than 25 sessions being conducted in Alhamra’s halls. Speaking on “Faiz ki shairi main naghmagii” (musicality in Faiz’s poetry), Dr Nomanul Haq shed light on the various aspects of lyricism found in the works of Faiz. “Faiz would teach his chains to sing rather than attempt at breaking free from them,” the noted professor from the Institute of Business Administration (IBA) said as he delved into examining the persistent “timeless” metaphors that Faiz wrote in. “One of the things one notices in Faiz’s poetry is the almost nonexistent use of verbs in his verses. All his metaphors are constructed using nouns, with hardly a helping verb to confine it in time. Resultantly, Faiz’s work can easily be read as timeless, giving it a cosmological bent and being as relevant today as it was when it was first formulated,” said Dr Nomanul Haq, reciting a select set of verses, which elicited admiring echoes of appreciation from the audience. The professor recalled how Faiz was “a poet through and through”, as he would view the loss of humanity’s faculty of thinking in “poetic metaphors” as its greatest misfortune. True to the tradition of “sabke-Hindi”, Faiz’s poetry was replete with “honeycombs of metaphors”, he said. 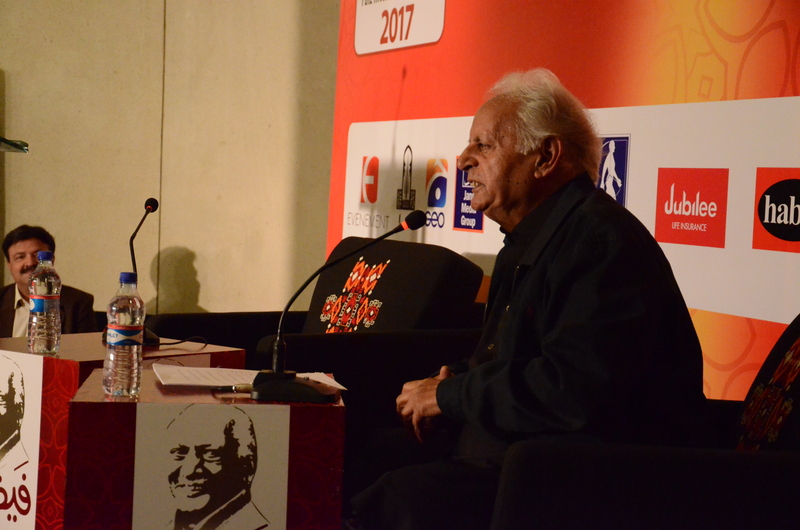 Dr Nomanul Haq’s talk was followed by a heartwarming tribute to Faiz by Mustansar Hussain Tarar in the Adbi Baithak room. The esteemed travelogue and novel writer talked on what he said was a previously unexplored area, that of “cities in literature”. He said that cities were a major character in all works of fiction. “Although Lahore has not given birth to any great fiction writer in Urdu tradition, no great writer of Urdu fiction (excepting Qurratulain Hyder again) has ever come to the fore except after Lahore had stamped him/her with its mark,” he said. He talked about how the city (and a river) featured as a most important character in all of his works, adding that every great author had at least one city as an endless inspiration to her work, citing the examples of James Joyce’s Ulysses and Ismail Kadare’s The Palace of Dreams. He, moreover, talked about the fiction writers’ capability of creating completely new worlds through their work. In another engaging session (and one could sadly attend only one of several being conducted at the same time), Salman Rashid gave an extremely captivating account of Alexander the Great’s journey through what is now Pakistan. Using maps and pictures on multimedia, Rashid gave a detailed account of Alexander’s various conquests as well as difficulties in the region. In a session of Faiz-shanasi, Faiz’s roles as a teacher and journalist at the beginning of his career were discussed. 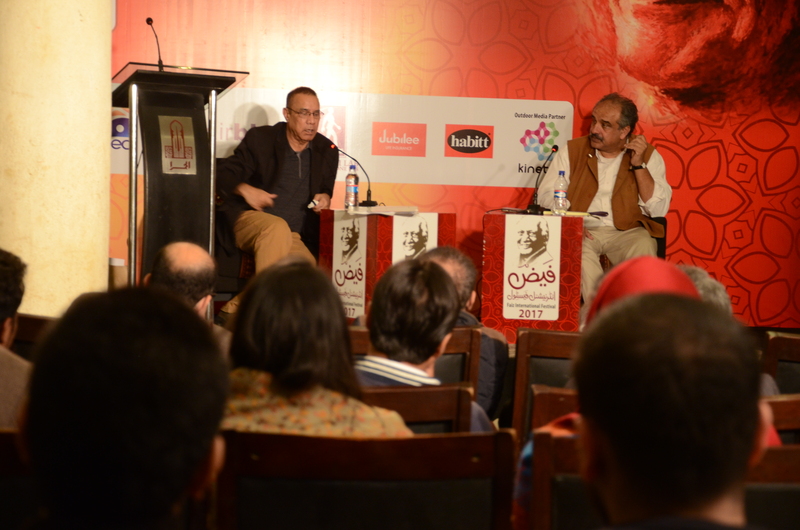 Faiz was Manto’s teacher, academics in the panel told the audience. “A good teacher knows when to give preference to nurturing God-gifted talents of his students rather than burying them under the curriculum, and Faiz was just such a teacher,” Dr Imran Zafar at the panel remarked. Although the sessions at the event were extremely stimulating and informational, one could hardly miss the incessant desire of a few moderators and members of the audience to outshine the panellists in their knowledge/taste and literary aptitudes. This was the case in quite a few of the sessions, in which the renowned names heading the panel were interrupted and/or not allowed to speak at all while another, among the moderators or the audience, attempted to take over due either to their enthusiasm or their own research on the topic being discussed. Meanwhile, multiple food stalls in the lawns of Alhamra kept visitors refreshed during breaks between the sessions. Musical and stage performances on the outdoor stages provided a constant source of entertainment. 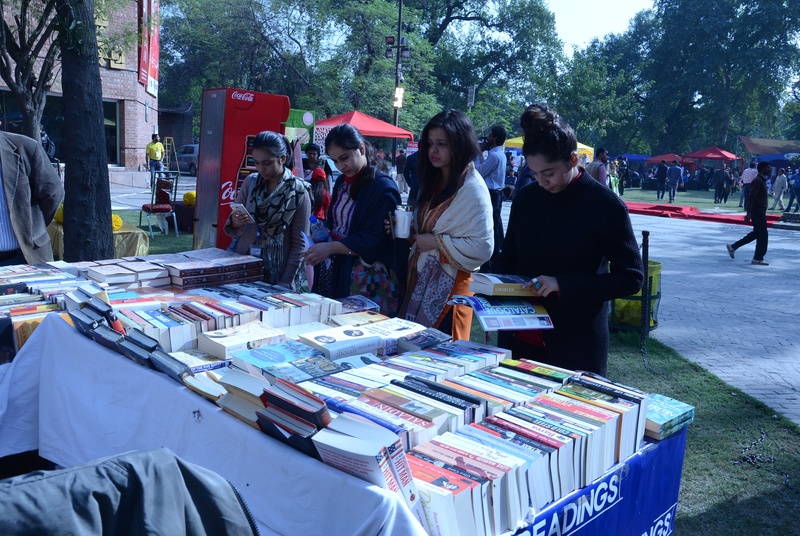 Book vendors set up book stalls and sold books at discounted prices. The more enthusiastic readers had a chance to get their books signed from such authors as were present at the festival.